We are a Company that believes in fitness, community and supporting what matters locally. 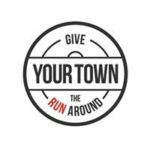 We intend to bring about a change and to be a platform to promote your local high street and bring the best out of a community be creating a togetherness and showcasing all that is great about your local town. Please get in touch with our friendly team if you would like us to visit your Town.